Gorgeous weather this weekend, meant time spent outdoors, was a definite must. Despite a pretty full schedule, we knew we needed to get back to one of our favorite hobbies: hiking. 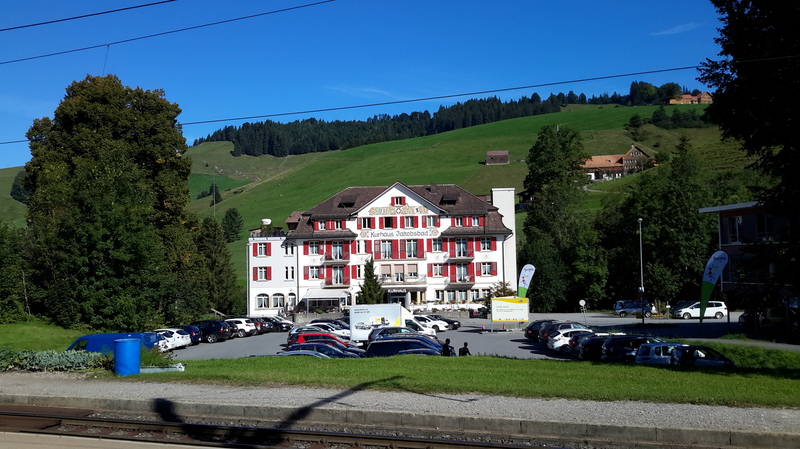 We decided to head on over to Appenzell, a mountain located near the train station, Jakobsbad, which lies south west of the canton’s capital of Appenzell, between there and Urnäsch. 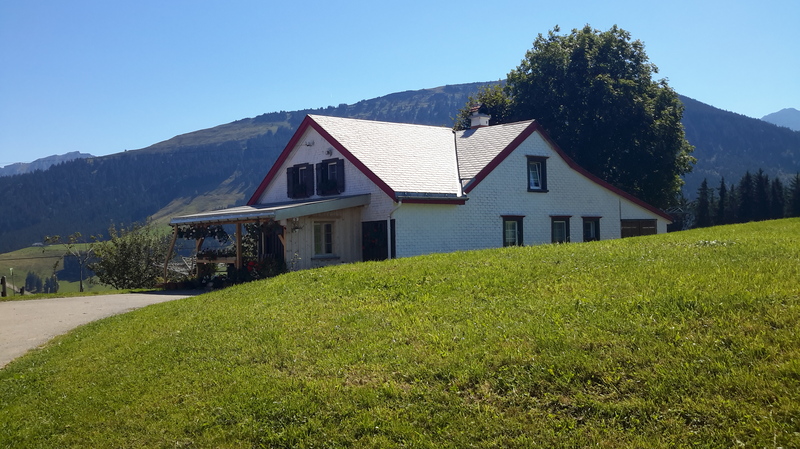 The Kronberg mountain, is a popular destination for locals and tourists alike, both young and old, offering a number of recreation options year round. 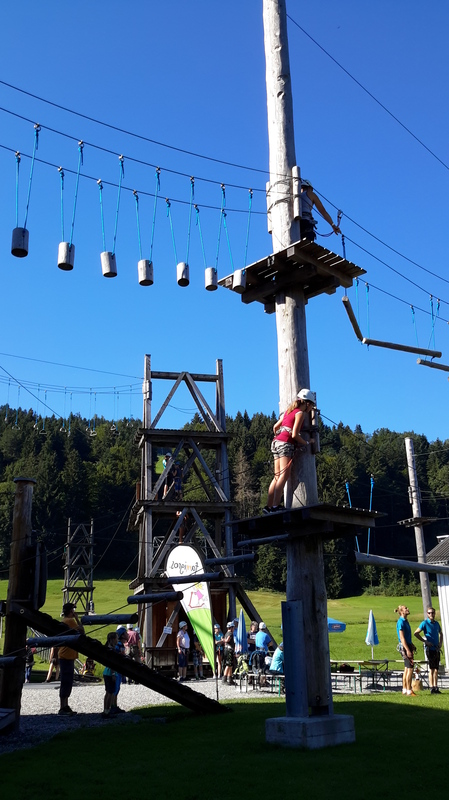 On this end of August, Saturday, it was booming with young families, enjoying the rope park, play area and lining up to take an alpine ‘coaster’ ride. 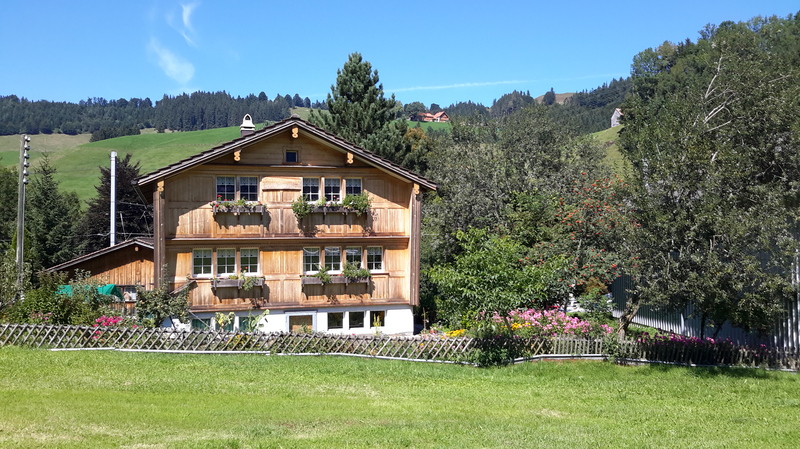 For those wanting a more physically involved way to spend their day, hiking paths were, as anywhere in Appenzell, abundant. 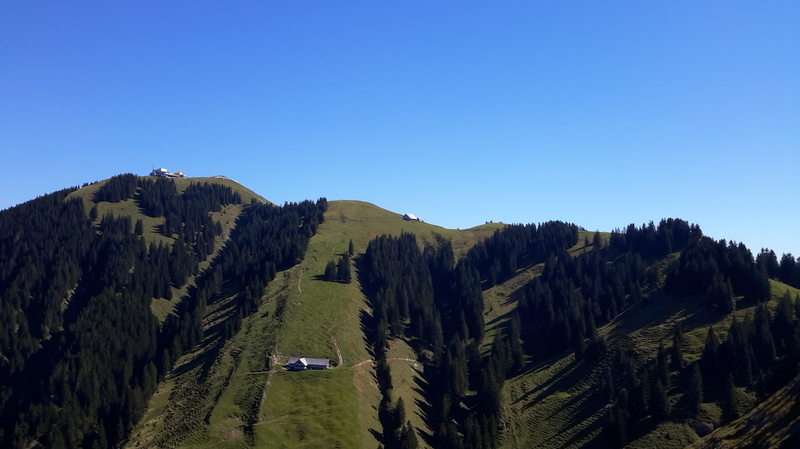 There is even a ‘barefoot hike’ along the brook and meadows going over to Gontenbad. 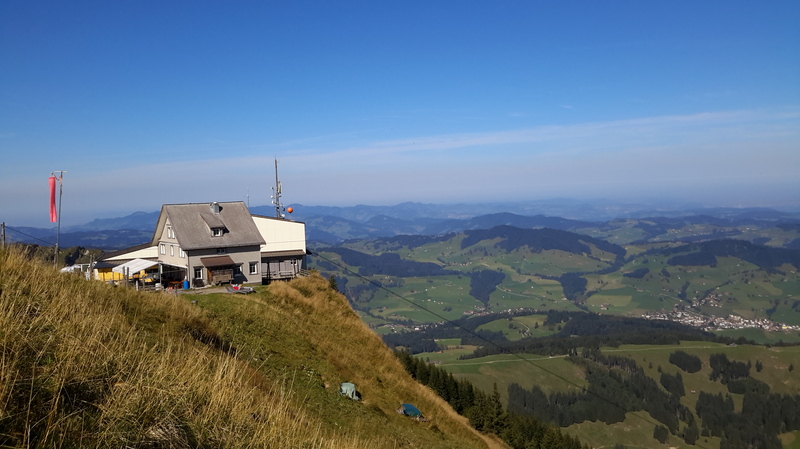 Of course my Countryboy was only interested in altitude, so getting in the Cable Car, we set our sights on the Kronberg, which lies only 1663 metres above sea level. 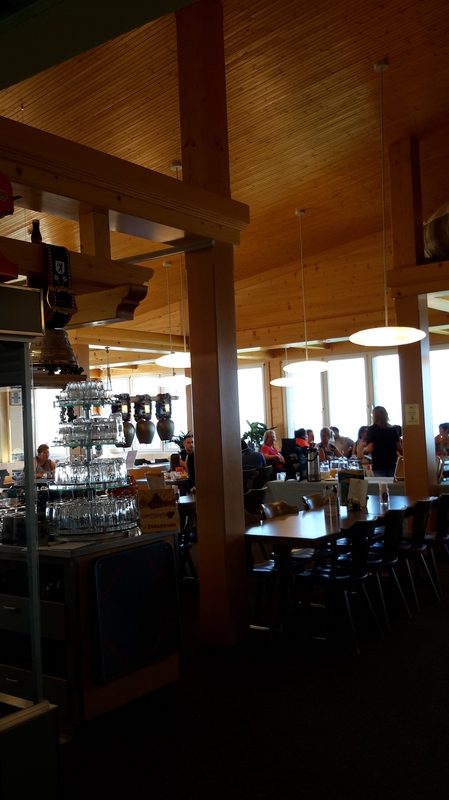 Unfortunately, as we were just starting our day we couldn’t stop at the restaurant. But I will admit it is a great place to start or end a hike, with a fantastic view. 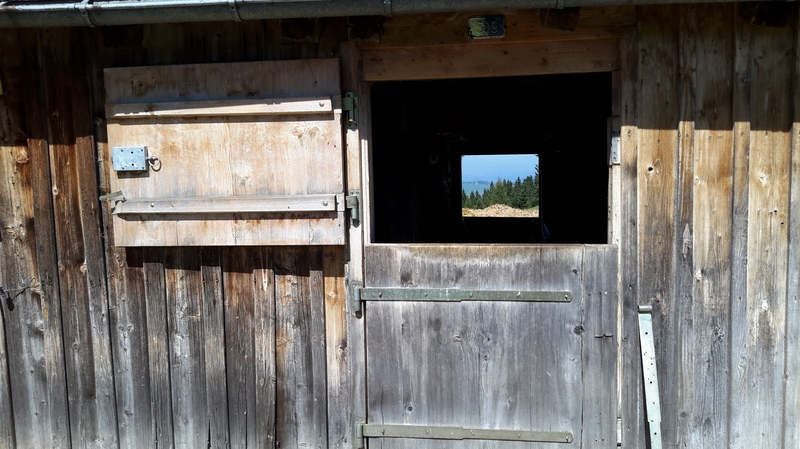 On a clearer day, I am sure you would have a great view of Lake Constance (Der Bodensee). 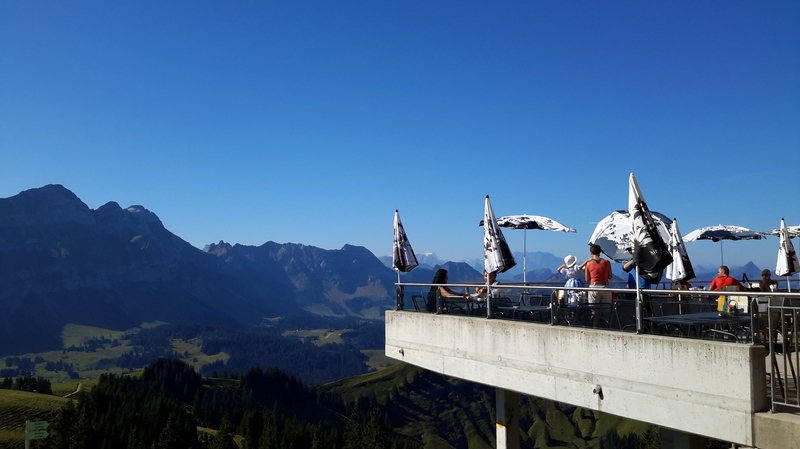 The Säntis mountain, the highest in the Alpstein Mountain Range here in our local, Eastern Switzerland, area seemed only a short hike away, but I knew better. We opted for a ‘gentler’ approach back down into the valley, though my knees and thighs wouldn’t agree as I sit here this morning in pain. 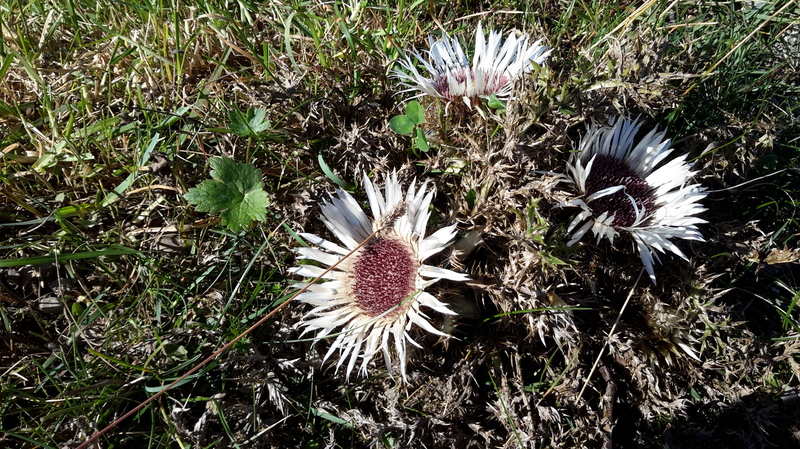 Pain aside, I must say it was a pleasingly scenic hike, with lots of beautiful alpine flora, such as these silver thistles. 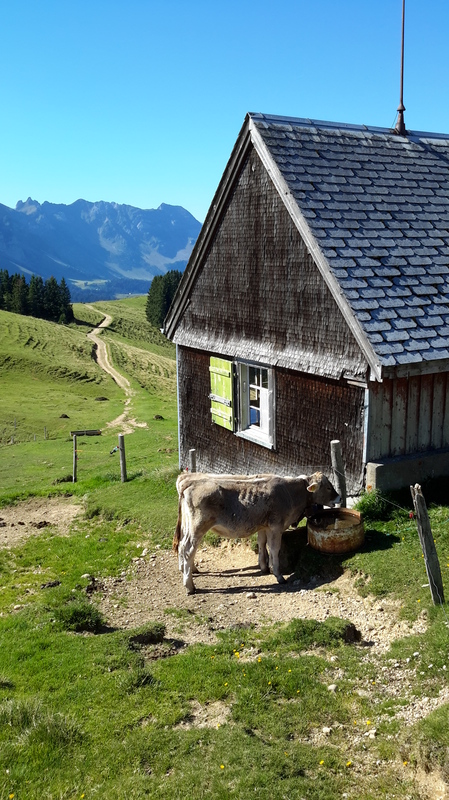 On our way we passed a number of alpine farmhouses and barns, where the local farmers keep their animals throughout the warm months, taking advantage of the alpine grazing. 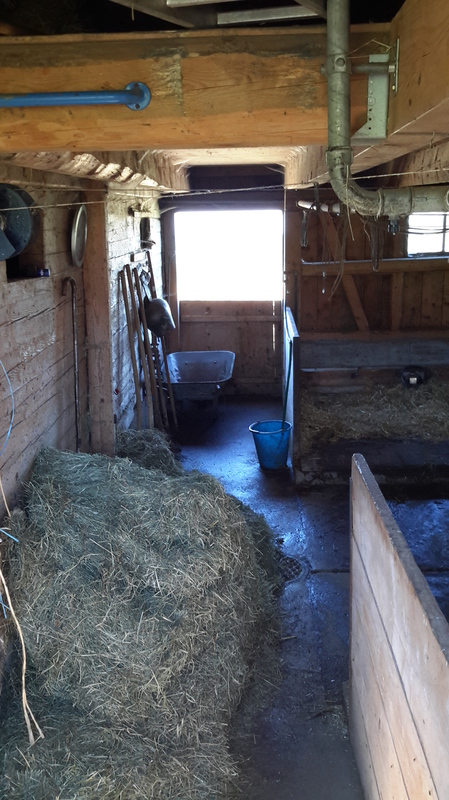 I like to think of it as holidays for the cows, their summer house, so to speak. 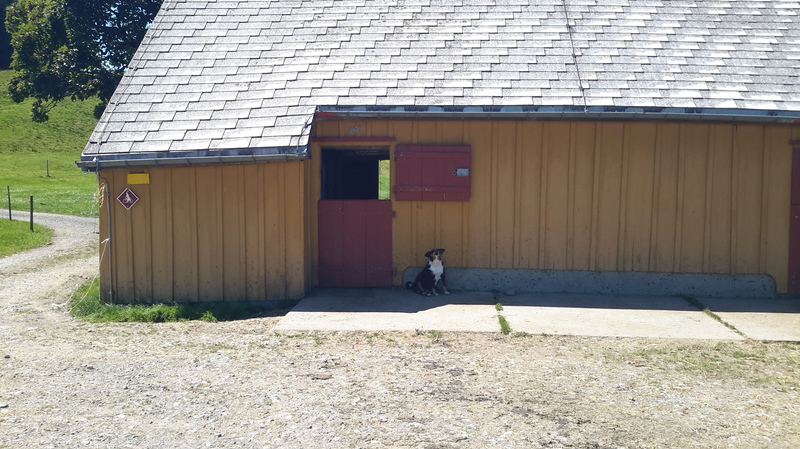 The house above had the most lovely little porch full of geraniums, but unfortunately, it’s watch dog wouldn’t permit me to get a better picture. 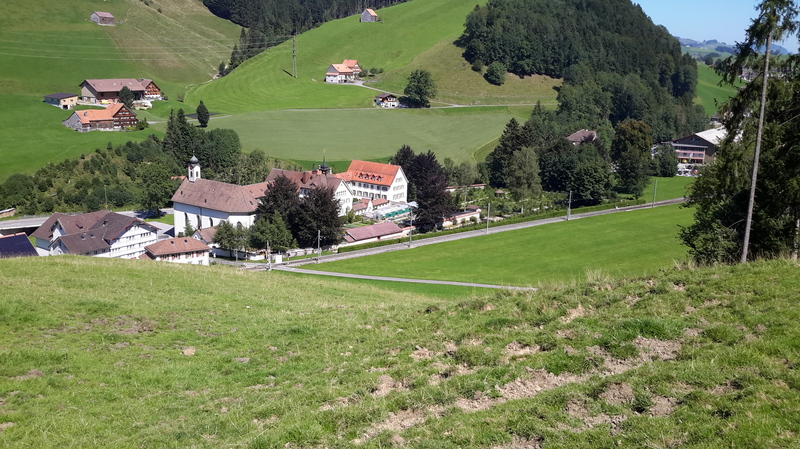 Finally we could spot the end of our journey as this lovely monastery came into view with a beautiful garden. With a number of little breaks for photos and drinks on this hot day, our hike took us roughly 3 1/2 hours. 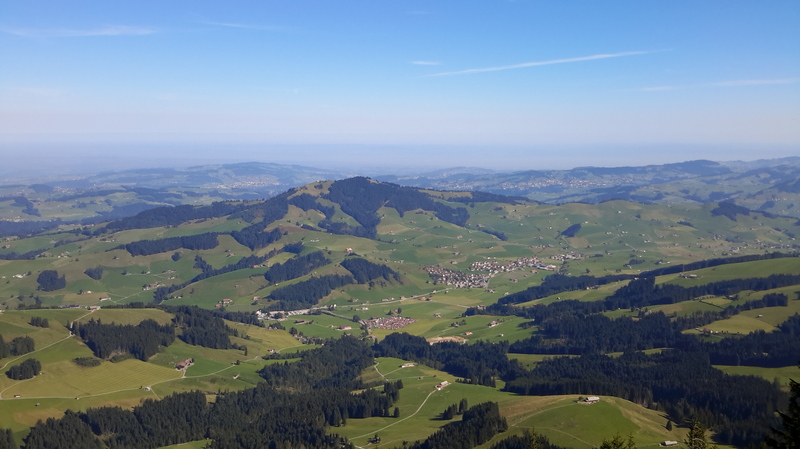 It was certainly a great way to experience Appenzell. 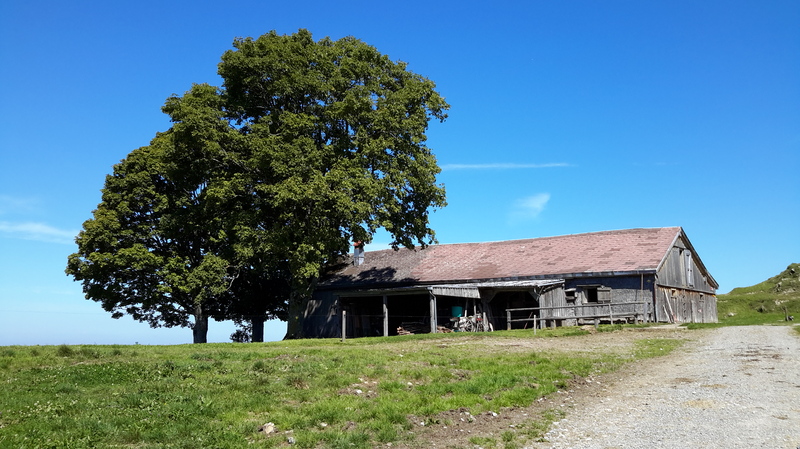 If you would like further information on this destination you can visit the Kronberg website which is both in English and German here. 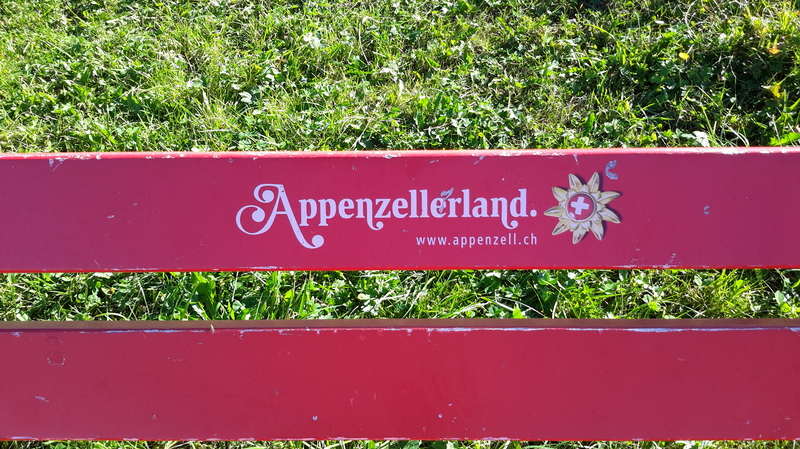 For tourism information on the Appenzell region in general, you can visit the tourism boards website here which is available in German, English and French. Please let me know if you have any questions or comments and have a great Sunday! Glad you enjoyed it! 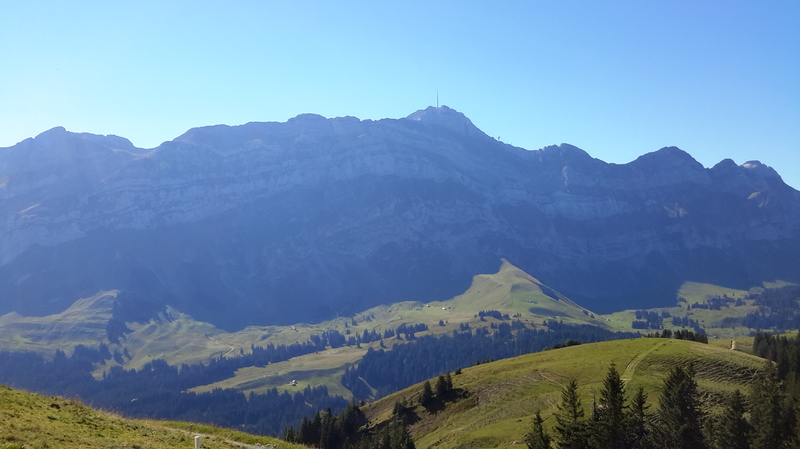 Yes, lots of beautiful hikes here in Switzerland! Hope you get out for one soon!